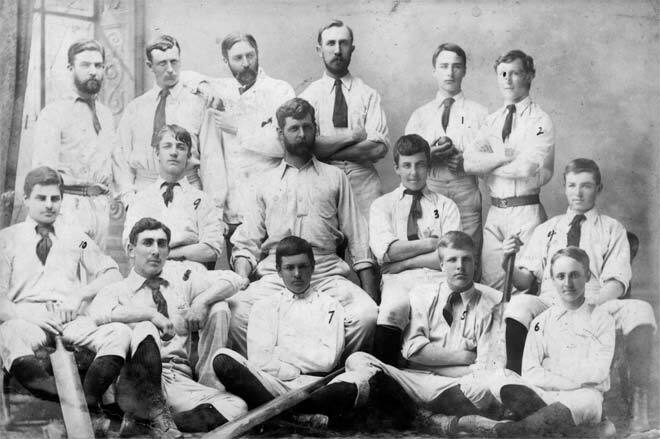 Wellington College's 1885–86 cricket team and staff surround the school's long-serving headmaster, Joseph Firth. Known as 'The Boss', the 1.96-metre-tall Firth aimed to mould his school on along the lines of English 'public' schools such as Rugby and Harrow. He encouraged strict adherence to the principles of amateurism, believing they developed mental and moral qualities.